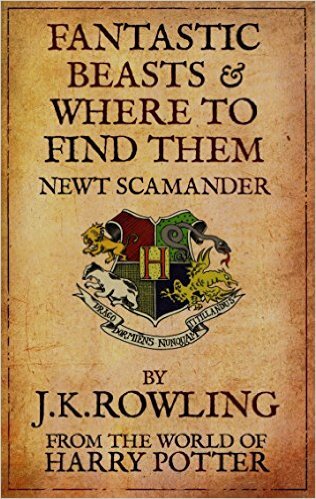 I've been seeing a bunch of advertising for the Fantastic Beasts and Where to Find Them movie lately and I realized I had never read the book, so I thought I would fix that. It's a spin off book from the Harry Potter series and it's really short. I read it in one sitting but I'm also sure adults aren't really the target audience. But, it was interesting anyway. The introduction and writing about the magical beasts in the world of Harry Potter was the most fascinating part. 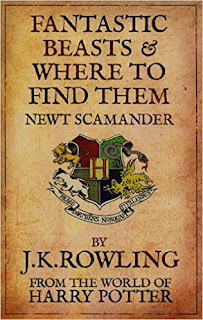 The center part of the book that was a listing of the beasts and descriptions of them was less so, but still had some worldbuilding for Harry Potter. It actually inspired me to go back and pick up the first Harry Potter book. I haven't read through the series since they originally came out so I thought it might be time to work through it again. The first book is definitely rougher around the edges and more aimed at kids than I remembered. But it should get better and aimed at a wider audience as the books go along if memory serves. Anyway, I'm mostly excited to see a new take on the world of Harry Potter with the movie this Fall! This is one of my most anticipated films this year :) I really loved the other movies and whatever else is put in that universe, I'm game - especially more monsters! It's not gonna be a trilogy or anything tho, right? It actually is supposed to be a trilogy!